Dr Shakil Afridi is facing renewed legal trouble after the tribunal hearing his appeal was dissolved a few weeks ago. You will recall that the doctor was not arrested and convicted of helping the CIA locate Osama bin Laden, the international terrorist who ISI was definitely not hiding. While he waits to find out whether any new tribunal will hear his appeal, though, he is once again in the news, this time taking the blame for the nation’s growing polio epidemic. CIA Torture Report: When Will Islamabad Follow Suit? In a historic moment that many thought would never been seen in our lifetime, the US government released the results of a secret investigation into allegations of torture by CIA. The shocking report has placed the CIA chief under immense pressure for covering up alleged abuses and officials are now calling for those responsible to be brought to justice. The popular reaction to this report is that America has ‘lost moral high ground‘. 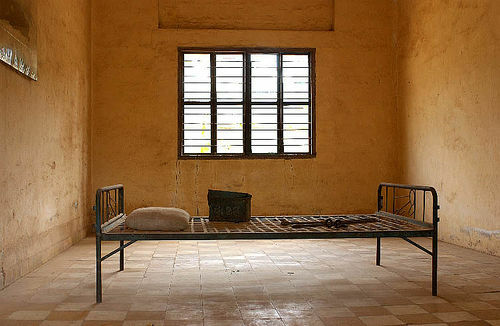 There is no question that torture is morally unjustifiable, but there is something to be said for admitting when you have a problem and working to change it. With that said, when will Islamabad follow suit? 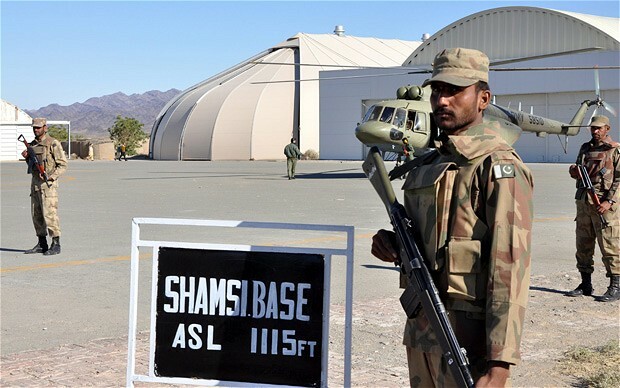 Shamsi Airfield, located 320km South West of Quetta, was used as a base for CIA drone strikes until 2011 under agreement with Pakistan military. 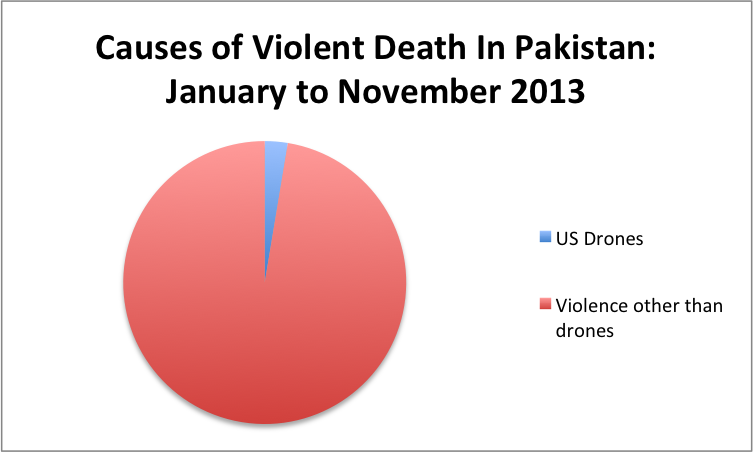 While publicly decrying drone attacks as a violation of sovereignty, Pakistan was secretly cooperating with America’s drone program according to a new report by Greg Miller and Bob Woodward for The Washington Post on Thursday. According to the report, Top Secret documents from the US and Pakistan governments reveal a long and close cooperation between the two countries on the controversial drone program. While much of the Pakistani media has been slow to comment on the details of the report, hyper-nationalists on social media quickly attempted to cast the blame on the civilians who they claimed had manipulated the military and gone against their will. A brief refresher on the history of military and civilian relations, however, shows just how ridiculous an excuse this is. Is there anything such as a ‘moderate terrorist’? That is how the slain leader of the Tehreek-i-Taliban Pakistan (TTP) is being depicted by some analysts. In fact, the most recent high-value target of the CIA drone strikes in Pakistan’s tribal regions, Waliur Rehman, masterminded many gruesome militant attacks. To portray him as a moderate or a man seriously seeking peace talks is to play a cruel joke on thousands of innocent victims of terrorism. It was not without reason that Waliur Rehman was on Pakistan’s list of most wanted terrorists; the US had announced a bounty of $5 million on him. His role as the top operational commander of the TTP came to light during the bloody siege of the GHQ in Rawalpindi in October 2009. Intercepted messages showed that the attackers were constantly getting instructions on the wireless from Waliur Rehman. Putting aside the controversy on the legality of the CIA drone campaign inside Pakistani territory, it is a false argument that the strike killing Waliur Rehman was meant to scuttle peace talks with the Pakistani Taliban. Such debates only help Taliban apologists seeking to promote the militant cause. The demand by Maulana Samiul Haq, the self-appointed arbitrator between the next administration and the TTP, that Pakistan should apologise for the killing of Waliur Rehman is shocking. Not surprisingly the TTP has used the killing of its deputy leader as a pretext for withdrawing its so-called peace talks offer. From the outset it was never a serious pursuit for peace by the Taliban. But some political parties took the ruse seriously. The PML-N and the Pakistan Tehreek-i-Insaf made the support for peace talks part of their election campaigns. In his first speech to his party’s newly elected members of the National Assembly, Nawaz Sharif reiterated his position that negotiations were the only means to deal with militancy. “Why should we not talk to the Taliban?” he asked his party legislators and then himself replied in the affirmative. While blasting the previous government for not taking the TTP peace talks offer seriously, the new Pakistani leader completely ignored the atrocities the militants have wreaked on Pakistan. No homage was paid to the thousands of Pakistani soldiers who laid down their lives in fighting the militants and securing the tribal regions. Perhaps not to offend the TTP, Mr Sharif did not think it was important to talk about Malala Yousafzai who was shot by them for resisting their retrogressive worldview. The young girl from Swat has now become an international icon of bravery — but maybe not for our new ruling parties. The statement of the new chief minister of the PTI government in Khyber Pakhtunkhwa declaring that his party “did not have any enmity with the Taliban” was equally pathetic. The statement came as the TTP had mounted at least six terrorist attacks in as many days. There was no condemnation of those attacks by the two most powerful parties now in power in the centre and KP. Such an apologetic position and pampering of the terrorists provides greater space to the militants and divides the nation. By giving the TTP a clean chit the new KP government is setting a very dangerous precedent. A serious concern is that lowering one’s guard and inaction by the provincial government could give the militants the space to regenerate and regain lost ground. One should learn lessons from the Swat peace deals. Soon after coming to power in the province in 2008, the Awami National Party pursued the same policy of negotiations on the militants’ terms with disastrous consequences. The militant commanders released after the peace agreement went back to Swat and killed hundreds of people who had cooperated with the administration and political opponents. Another failed peace deal in 2009 led to a military operation. Therefore the argument that negotiations were not given a chance is false. What is most dangerous is the widening divide between the new political leadership and the military over peace talks with the TTP. Gen Kayani has made it very clear that there could not be any negotiations unless the militants renounce violence and accept the writ of the state. The attitude of the civilian leadership reinforces the perception that it is only the military’s war against militancy and nothing to do with them. This makes for a very dangerous situation where the country’s internal security is concerned. An oft-repeated argument is that if the Americans are engaging with the Taliban in Afghanistan why can’t Pakistan negotiate with its own militants. This is an extremely ridiculous parallel. There is a huge difference in the two situations. There are no foreign parties in Pakistan — the TTP is not fighting foreign troops. Another apology for militant violence is Pakistan’s so-called involvement in US war in Afghanistan that according to Imran Khan and other political leaders has reinforced the jihadi narrative. It is, perhaps, the most unconvincing argument of all. How is Pakistan involved in the US war, especially when the coalition forces are in the process of withdrawing from Afghanistan? Do Imran Khan and others want Pakistan to support the so-called jihad in Afghanistan? Besides, the TTP are not a monolithic group and numerous TTP and other militant factions are operating in KP with their separate demands and agendas. Many of them are just criminal gangs engaged in crimes ranging from kidnapping for ransom to bank robberies. How are we going to negotiate with each one of them? Perhaps the government does not have a clear answer to this.